Mehendi (mehndi) is a safe, temporary tattoo, made with natural dye. Many resorts henna tattoo is the most popular service on the beach. 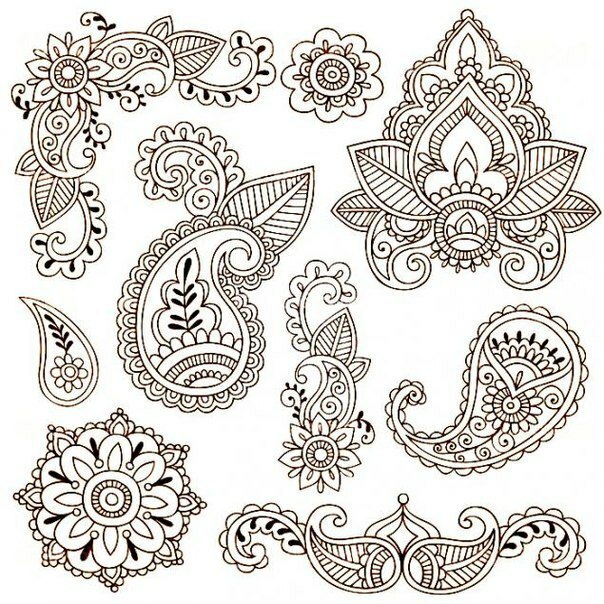 But why be limited to a set of standard stencils, if to prepare the composition for mehndi by yourself is very simple, and the picture, with his own hands, will be unique. Initially, the application of drawings on the skin had a sacral meaning, it was believed that certain patterns are able to protect people from harm, bring good luck and even cure disease. With time to cause color patterns on the steel body just for beauty and expression. Decide with the picture. If you want you can choose for applying the ornament of value, or invent your own pattern. If in doubt of the abilities of the artist – is better to make a stencil. Preparation of composition for temporary tattoo takes about a day. Some stores sell special henna for the body, but it is quite possible to replace the conventional hair dye. In a glass or ceramic bowl, squeeze the juice of 2 lemons. Sift 40 g of powder through a sieve, filtering out possible debris and impurities. Mix the juice and henna to a paste, cover with film and leave for 12 hours in a warm place, but not in the sun. If you plan on drawing a bright orange color, then add the paste a teaspoon of sugar and the same of tea tree oil. Garnish with a lemon juice to a creamy consistency, then leave for 12 hours under polyethylene. For a darker color lines instead of lemon juice add in the half a Cup of strong black tea or coffee with sugar. Add eucalyptus essential oil or tea tree and also leave it on for 12 hours at room temperature. 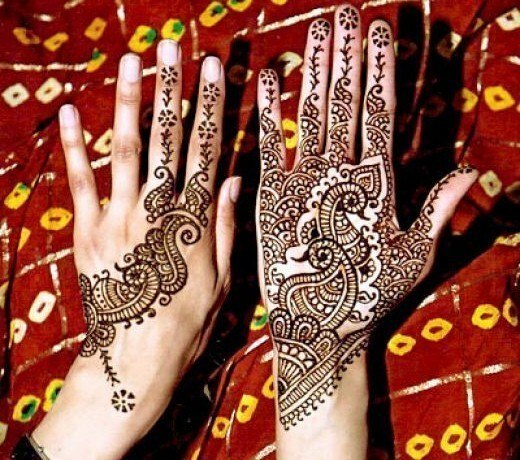 Be sure to prepare your skin for applying henna tattoos. Treat area of the body scrub, dry, wipe with alcohol, followed by eucalyptus oil for better fixation color. 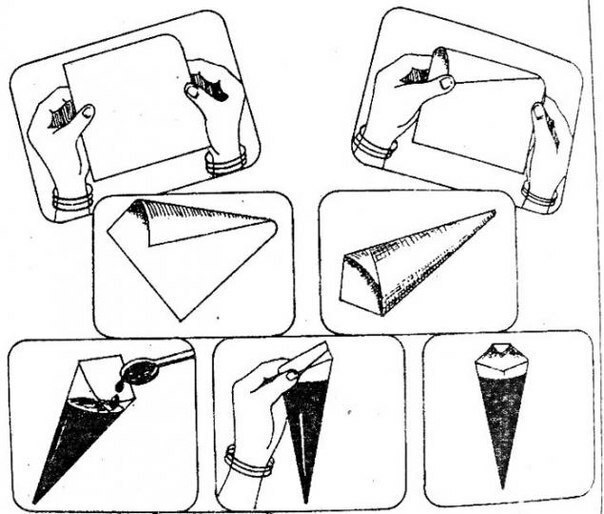 Press hard for thick lines you can use a syringe or make a special cone. From a piece of film roll the bag and secure the edges with tape. Pour inside the mixture for mehendi and carefully cut the tip, forming a small hole. For finer strokes, use a toothpick or a brush. For simplification of work you can put a picture on the skin of the cosmetic pencil and then just trace the lines with henna. Proper drying and fixing the paste on the skin depends on the color and the lifetime of the ornament. After bottomrule will be applied fully, it is desirable to expose it to sunlight. When the paste is completely dry, sprinkle the surface with a mixture of lemon juice and sugar (two to one). At least to secure the picture – the hours. The dry mixture can not be washed off from the skin, it must be scraped off with a blunt knife. 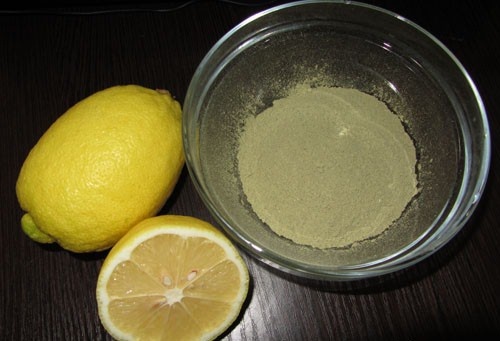 Then wipe the picture with lemon juice and after drying, any oil. In the next 4 hours temporary tattoo can not be wetted. The first day, the picture looks pale, then it darkens and becomes brighter. Before applying biotatu refrain from tanning for about a day.